Large cargo racks front and rear allow payloads of 15 and 30 kilograms respectively. Lightweight, OHV air-cooled 229cc engine is longitudinally mounted to allow direct drive-shaft alignment to rear wheels for fewer frictional losses. 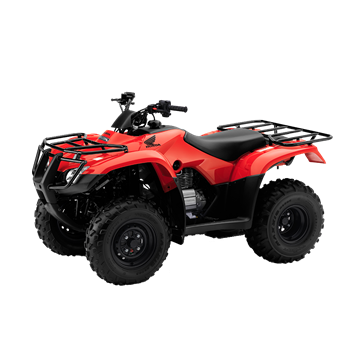 Suspension, ergonomics and SUV-type styling make the best-selling mid-size agricultural "4 wheeler" even better, with the added benefit of no retail price increase in 2006. Still only $7,790.00.